It’s not too early to start planning for this year’s Hour of Code! It’s December 8-14, and you know that November is going to fly by quickly. Hour of Code is an initiative from Code.org with the purpose of getting students around the world exposed to programming skills. All of my GT students, 1st through 5th, participated last year (and even my Kinder students learned some programming when they started classes with me in the spring). Every student enjoyed it, and many took it into their own hands to learn more during Genius Hour projects and their own time at home. 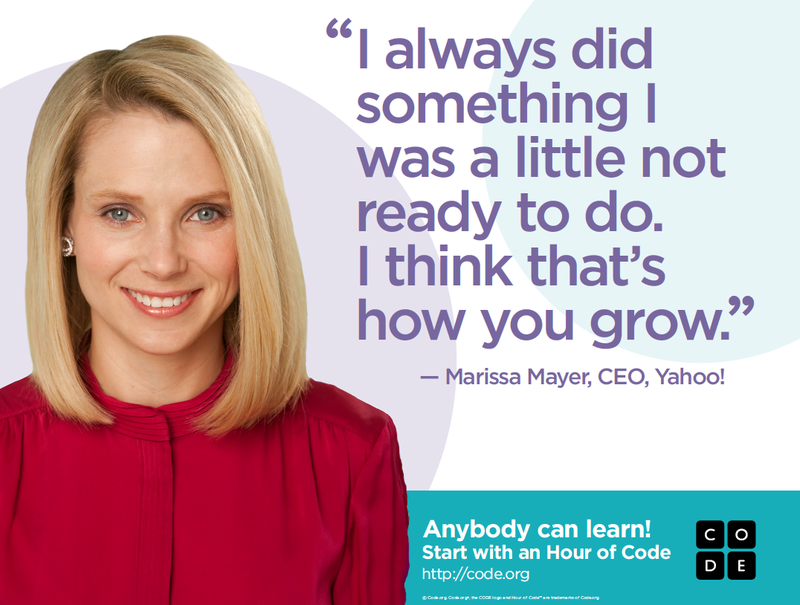 Teachers, tap into your growth mindset and try Hour of Code! Before you click on the “x” in the top right corner or hop to another website, hear me out. I am not a programmer, and knew very little about computer science before jumping into Hour of Code. I promise you that you do not need to be an expert in order to participate. Code.org provides very easy tutorials that walk you through programming activities. In fact, you can participate without using any kind of device at all by doing an “unplugged” activity. This is the perfect opportunity for your students to see your willingness to take risks and try things that are a little beyond your comfort level. The great thing is watching them rise to the occasion and solve their own problems when you truly don’t know the answer! If you participated last year, it looks like you’re in luck. Code.org is promising new tutorials for this year. And, you may want to check out their Code Studio that was launched earlier this year. Here are the resources on How to Get Started. Need some inspirational videos or posters? Check these out. Just in case you aren’t convinced, try one of these iPad apps to see how quickly you can learn coding yourself: Kodable, Scratch Jr., Hopscotch, Daisy the Dinosaur, Lego Fix the Factory, Cargo-Bot, Pixel Press. Or, try a browser based program: Scratch, Made with Code, Pencil Gym. Want to go “unplugged”? Try Robot Turtles or this free activity from Kodable. I have over 100 pins on my Programming for Kids Pinterest Board if you need more resources. Also, join the #kidscancode chat every Tuesday at 7 PM CST for tons of ideas and advice!